Sole advisor to Microland in raising capital from Cargill Ventures, Trident Capital, Intel Capital and JAFCO. 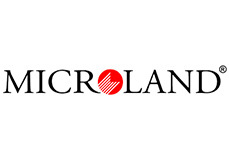 Microland Limited, India’s leading provider of IT Infrastructure Management and Technical Support Services announced today that it has secured US $11 million from Cargill Ventures, Trident Capital, Intel Capital and JAFCO. This funding would fuel Microland’s business growth and enable investment in new infrastructure. Avendus Advisors was the sole investment banker for the transaction. Commenting on the milestone, Mr. Pradeep Kar, Founder, Chairman & Managing Director of Microland Limited said, “The Remote Infrastructure Management business is set to grow exponentially in the near future and Microland is well positioned to lead, what we believe is the third wave of IT outsourcing to India. Microland pioneered remote Infrastructure Management in India when we set up our first Operations Center in 1999 to manage the IT infrastructure assets for a global corporation. Since then, we have emerged as India’s leading and only pure play provider of these services. The investment will help Microland accelerate its growth plans and make the necessary investments in infrastructure, capabilities and business acquisitions to exploit the large opportunity in this space”. Microland’s Infrastructure Management Services encompass all the Services that relate to Monitoring, Managing and enhancing the performance of a client’s IT Infrastructure. These include Server Management, Messaging (Email) Management, Data Center Management, Network Management, IT Security Services, Device Management, Application Management and Process and Technology Consulting. Microland’s Operation Management Centers are ISO 20000-1 & 27001 as well as BS15000 & BS 7799 certified. Infrastructure Management Services is a US$140 billion global market that provides significant growth prospects for Indian IT services companies. Industry estimates that IT services exports from remote infrastructure outsourcing model market in India will grow from $800 million in 2005 to $7 billion by 2010. Mr. Deepak Malik, Managing Director of Cargill said "We believe that remote infrastructure management is a strongly emerging IT services category that will accelerate as companies recognize the tremendous benefits and ROI that is attainable”. Ms. Venetia Kontogouris, Managing Director of Trident Capital said “Trident Capital has had many years of experience in investing in India-based outsourcing businesses and we believe that Microland has the quality and depth of management to become the leading provider of infrastructure management services to Fortune 500 companies”. Elaborating on this transaction, Amit Singh, Assistant Vice President Avendus Advisors said, “The investment by four large funds in Microland is a testimony to the attractiveness and growth potential of the remote infrastructure management industry and the deep domain expertise that Microland enjoys in this space. Microland’s strong management team, its proven delivery expertise with Fortune 100 clients and its thought leadership in this domain has positioned it strategically to harness the multi billion dollar growth opportunity in this area”. Microland is a leading pure play provider of IT Infrastructure Management & Technical Support Services. Microland’s Infrastructure Management Services encompass all the Services that relate to monitoring, managing and enhancing the performance of a client’s IT Infrastructure Backbone. These include Server Management, Messaging (Email) Management, Data Center Management, Network Management, IT Security Services, Device Management, Application Management and Process and Technology Consulting. Microland’s Operation Management Centers are ISO 20000-1 & 27001 as well as BS15000 & BS 7799 Certified. Microland is headquartered in Bangalore, with 1600+ professionals working across the globe. Microland provides a proven and reliable alternative to global customers in managing their enterprise IT infrastructure. Cargill Ventures is the venture capital arm of Cargill, Incorporated, a privatelyheld company with operations in 59 countries and revenues of over $63 billion. Cargill Ventures invests in high-growth technology-based companies. Trident Capital is a leading private equity fund and venture capital firm founded in 1993. The firm manages over $1.6 billion of capital invested in more than 120 companies in the areas of Information services and software business. Intel Capital is a part of Intel Corporation and is among the largest venture capital entities in the world. Founded in 1991, Intel Capital has invested more than US $ 4 billion in approximately 1,000 companies in over 30 countries. Intel Capital focuses on both established and new technologies that help to develop industry standard solutions, drive global internet growth, and advance the computing and communications platforms. JAFCO Ventures is a venture capital firm that invests in emerging technologybased companies. They look for and invest in companies that demonstrate true “breakout” potential with differentiated technology and compelling business models. Avendus Advisors is an Investment Bank specializing in Private Equity Syndication, Cross-Border M&A, Fixed Income and Strategic Advisory services to corporates and funds. The company focuses on industries where Indian companies have a strategic growth advantage, including IT Services, IT Enabled Services, Pharmaceuticals and Healthcare, Media and Consumer Products and Services. Avendus clientele ranges from small fast growing technology firms to large international corporates and established private equity funds. It has served more than 100 corporates in cross border transactions and in raising growth capital, and has closed deals aggregating to US$ 600 Million during the last eighteen months.